Balancing work and life is sometimes a challenge (and we've been talking about that a lot the last week or so), but sometimes work needs to take a back seat. We need to recharge and reconnect and find the right balance for ourselves. 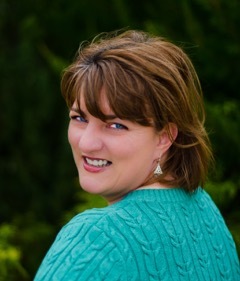 Maggie Wells visits the lecture hall this week to share some tips on how she managed to work less and gain more. Maggie is a deep-down dirty girl with a weakness for hot heroes and happy endings. By day she is buried in spreadsheets, but at night she pens tales of people tangling up the sheets. The product of a charming rogue and a shameless flirt, this mild-mannered married lady has a naughty streak a mile wide. 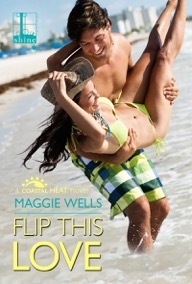 In April, Maggie celebrated the release of her 30th published work, FLIP THIS LOVE (Kensington/Lyrical-Shine)! I struggle with the whole work/life balance thing. Like so many authors with day jobs, I wrestle a work/work/life schedule. I won’t admit which of the work bits I’d rank over the other. I’ll just say that one is crucial to paying the grocery bill, and the other feeds my soul. I’ve been published for a little over five years. Just last week, I celebrated my 30th release. That’ll give you some indication of how very low on the list the ‘life’ portion of my quest has fallen. Nothing big happened. No life-altering triumph or tragedy, thank goodness. I like an even keel. I simply realized that I could not spend all of my time wishing I was writing, thinking about what to write, and getting down to it and making all the words. It was paralyzing. And my writing suffered. So, I rearranged a bit. My quest became work/life/work. I’ll let you make your own assumptions about which one of the ‘work’ components dropped to the bottom of the list. With some concerted effort, I even managed to put the ‘life’ up at the top. For about two or three weeks. Okay, it was the two weeks in which I mainlined the entire Friday Night Lights series on Netflix. Then, the voices in my head started clamoring, and I had to get back to it. But when I tried to slip into production mode, I found the gears a little rusty. The words hadn’t dried up. The stories were still there, begging to be told. But I was tired. So tired. I’d been running flat-out for five years, and once I stopped, I couldn’t make myself get back up to speed. I’ll admit it worried me a bit. Okay, a lot. But like any author worth her ink, I know there’s always more than one way to attack a storyline. I stripped my writing routine down to the bare bones. What did I want to accomplish at the very least? I wanted forward progress on my work in progress. Period. Then, rather than setting some lofty goal, I gave myself permission to go for the low-hanging fruit. Instead of saying, “I need X number of words minimum each and every day or else!” *insert fist shake*, I promised myself a minimum of 100 words per day, every day, for 100 days. My initial challenge started in December. I thought it would be a nice way to make it through the holidays. 100 words, minimum. It’s not even a full paragraph. Of course, you know you can’t really stop there. Most days I wrote far more. Some days, it was all I could do to throw myself over the century mark. It didn’t matter. I knew that at the end of the challenge, I’d have a minimum of 10,000 brand-spanking new words in my WIP. By the time I wrapped it up in March, I’d added 88,446 between two projects. More importantly, I discovered a way to work on the work-life-work balance guilt-free AND recovered some of the writing muscle memory I was afraid I’d lost. Did I take a trip to Disney World? No. But I did take a full twenty-four hours off before starting my next 100-day cycle. This time, I’m going for 500 words per day (minimum) and feeling pretty good about my progress. I’m also streaming into Season 6 of The Good Wife on Amazon Prime. How about you? Do you have any tips/tricks for getting and staying in the groove? Any thoughts on what I should watch next? I’ve missed about five years of series television…. Harley Cade is back in town—and the former bad boy is downright irresistible now that he’s donned a hard hat and set to work restoring the South's finest homes to their former grandeur. While wealth may have gained Harley entry into high society, it’s going to take a lot more than a fat bank account to win the lovely Laney Tarrington. Laney isn't open to giving the self-made magnate a second chance—no matter how much she needs him. With her family fortune gone, Laney finally has to stand on her own two feet. The last person she’d ever lean on is Harley, the man who left her behind with nothing more than memories of the passion they once shared…. I love how you managed to find your groove again, Maggie. I've been trying the 100 words a day challenge too, and it's exactly the kind of thing I need to keep me in a writing routine. I adored Flip This Love! Congrats on your release! You are my favorite partner in crime, Julie! That's a great idea! I could totally manage 100 words a day (and possibly more). Thank you for sharing, Maggie! You can do it and so much more! Write, Kimberly! Then go relax, have a glass of wine, and read a book someone else wrote. It's ALL good!